January 16, 2019 /3BL Media/ The World Environment Center (WEC) is pleased to announce a strategic partnership with Better World Leadership (BWL) to prepare business leaders to implement sustainability. 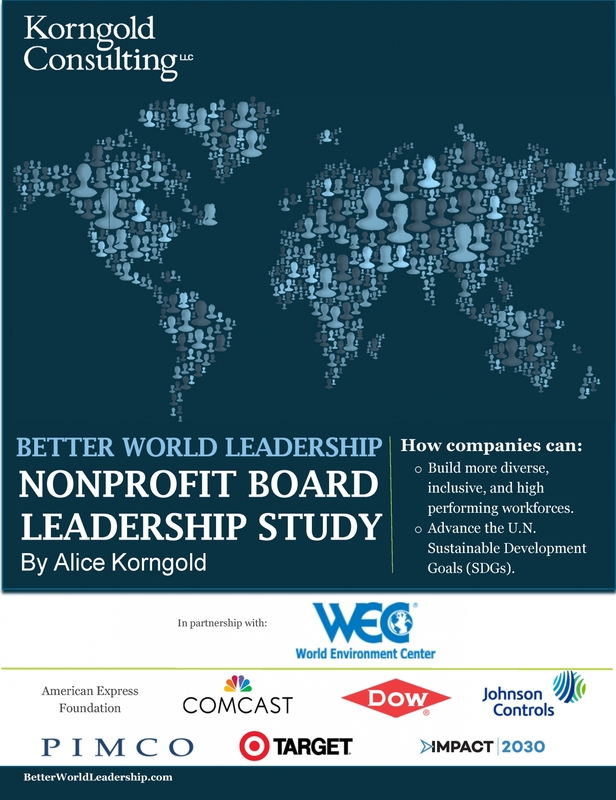 BWL studies provide evidence that nonprofit board service is an effective pathway for companies seeking to grow shareholder value by advancing diversity and inclusion, developing human capital for innovation, and helping to achieve global goals for sustainability. BWL is conducting further studies in 2019, presenting webinars, and convening multinational corporations seeking to establish, enhance, and expand their board service programs worldwide.